The last week has been filled with flashbacks as Donna and I have squeezed out time between demanding schedules thinking back on the last 27 years of our life. I accepted the call to become the pastor of Grace Baptist Church in April 1986. Seven weeks later my wife, our two-year-old and our six-month-old made the long drive from Texas to Cape Coral to plant our lives with the hope and prayer that the Lord would allow me to serve the church here for the rest of my life. So far, that prayer has been granted. Tomorrow, I have the wonder ful privilege and responsibility of walking my second-born down the aisle and entrusting her to the care of a young man who will become her husband. So most of my reflections have centered on Rebecca and how the Lord has guided her life to this point. God’s grace in my family amazes me. There are so many points along the road already traveled that I could wish for a mulligan. I have often thought that if I could only go back and at those times respond differently, or take a different decision or speak different words, I would. But when I think more deeply I realize that those mistakes, failures and sins, though regrettable, are part of the tapestry of grace that the Lord has woven into our family. They are part of our story—a story that forces any honest observer to admit that there is a God in heaven and that He delights in showing mercy to sinners and treating screw-ups not as they deserve to be treated but as the Son of His love, Jesus, deserves to be treated. That is what blows me away as I think back over the life of my family in general and Rebecca in particular. She was born into a broken world to broken parents who were just starting off in a broken church. She has experienced and seen enough sin in our home alone that if she denied God and rejected Scripture altogether it would be understandable. But she hasn’t. She loves and trusts Christ. She talks and writes songs and sings songs about finding deep joy and hope in God. She loves Scripture and reads it, memorizes it and teaches it to young people. She loves the church and gives herself to serve one local body of believers in multiple ways. She loves the world God has made and delights in discovering its intricacies, often through a microscope. And despite an innate shyness that was at times almost crippling for her, she loves people. The only explanation for this is the grace of God that comes to us through Jesus Christ the Lord. Now she loves one person in an exclusive, covenantal way. Brad is a wonderful young man who shares Becca’s most important loves for Christ, the church, the Word and people. And he loves her and is willing to stand before God and people to make a vow to commit himself to a life of learning to love her as Christ loves the church. I am happy to entrust my little girl to his care and leadership. Basketball has been a big part of our lives since Rebecca was 12 years old. I have had the privilege of coaching her and her sisters on a homeschool team that competes in a small Christian league. In her sophomore and senior seasons, Rebecca’s teams won the state championship. Consequently, the basketball scenes from from The Father of the Bride are my favorites. I especially identify with following one that captures Steve Martin’s character trying to sleep on the eve of his daughter’s wedding. 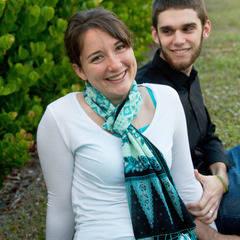 If God brings it to mind, pray for Brad and Rebecca as they begin a new life together. And pray for the father (and mother!) of the bride, too.